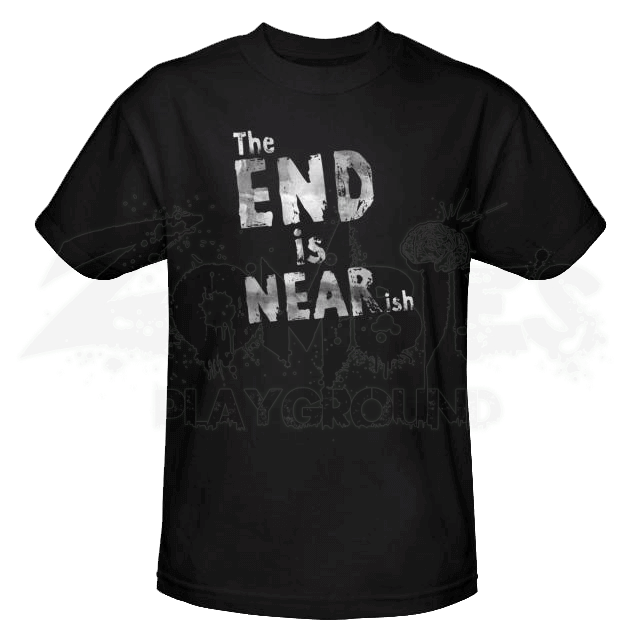 When it comes to predicting the end of the world, The End Is Near-ish T-Shirt is about as close to accurate as can be found. How precise is this prediction, really? Well, the end could be at the end of the year, which makes the shirt fairly accurate. Or it could be years from now, in which case well, the shirt will eventually be accurate, wont it? This fairly amusing shirt is made from black fabric which has been constructed from quality fabric, making the shirt extremely comfortable to wear. It has a simple design, featuring bold, silver-white colored lettering that looks like it has been painted onto the shirt. It reads simply The END is NEARish, with the last ish part being written rather small, as if to make it slightly less noticeable. Fortunately, it still is, which adds to the humor of this phrase. This shirt is made from quality 100% cotton and is a standard fitting adults t-shirt. 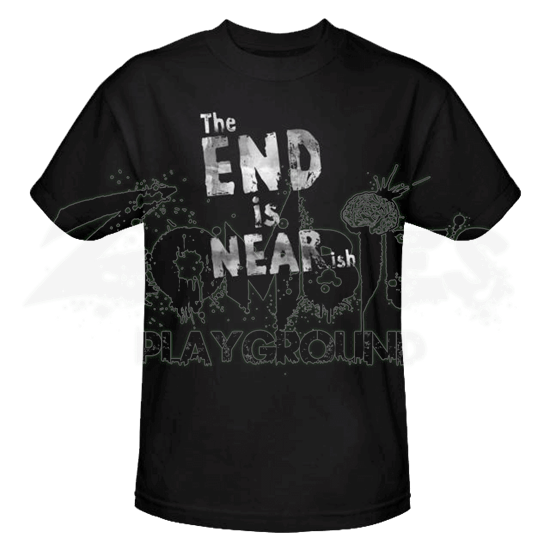 The End is Near-ish T-Shirt is a fantastic, not to mention humorous, t-shirt that makes a great addition to any wardrobe, especially for those who do not mind making light of the fact that the end of the world has been predicted. Of course, eventually this shirt will be right, but only because if you make the same prediction every day until the end of the world, you have got to wind up being right eventually.